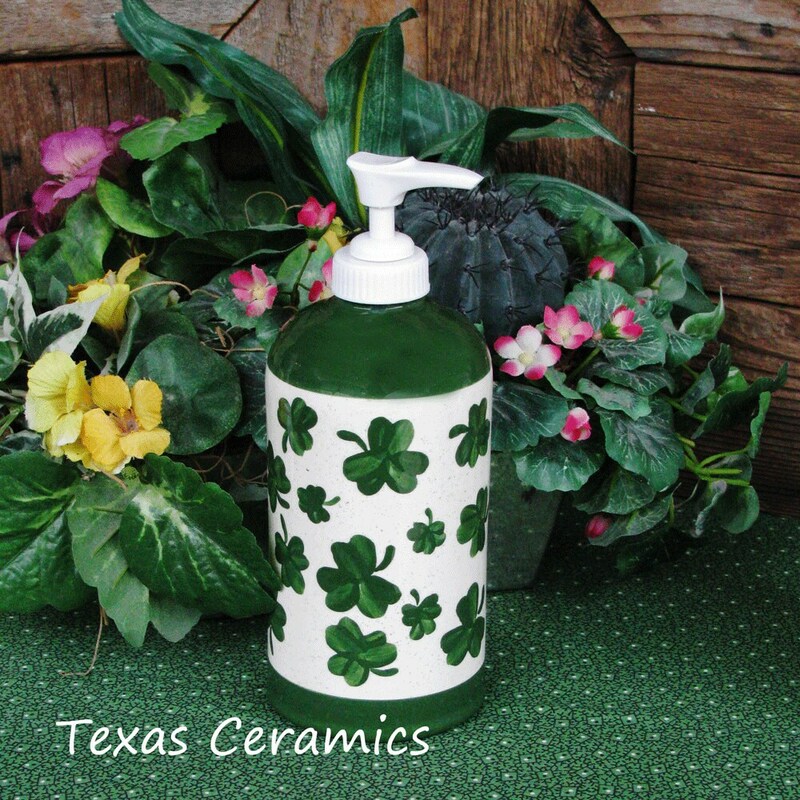 Charming and functional this tall round cylinder soap dispenser is decorated with hand painted green shamrocks. 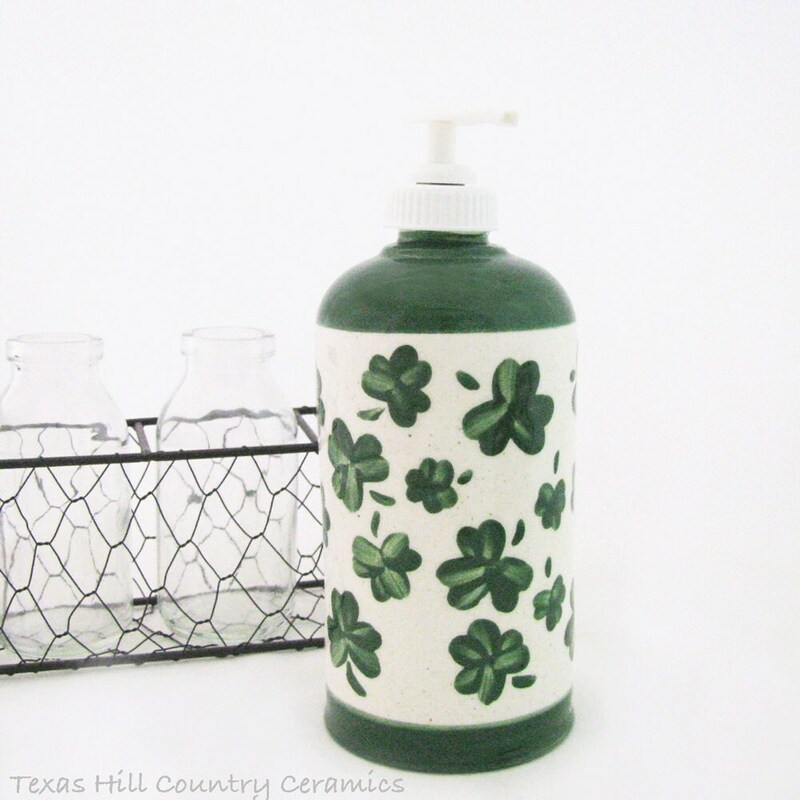 Use to hold liquid soap on kitchen counters or a bath vanity. 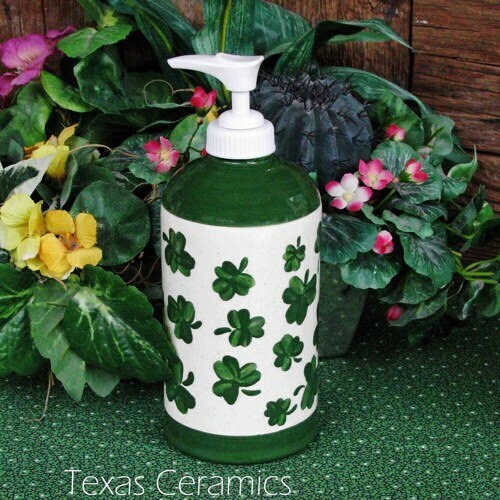 This dispenser is a must for those celebrating St. Patrick’s Day! The dispenser is ceramic, the top and bottom are banded in Kelly green, the area between the green bands is filled with randomly placed hand painted shamrocks, the background has a light splatter of Kelly green. Made to Order, processing time is noted below in the Shipping Section. The inside of the cylinder bottle is also glazed, this step helps to keep the soap or lotion dispenser in pristine condition for years to come. Each cylinder dispenser is made of slip cast ceramics for uniformity, this ceramic dispenser is cast in my studio located in central Texas and fired in my kiln. All underglaze and glaze used to make this piece is lead free. 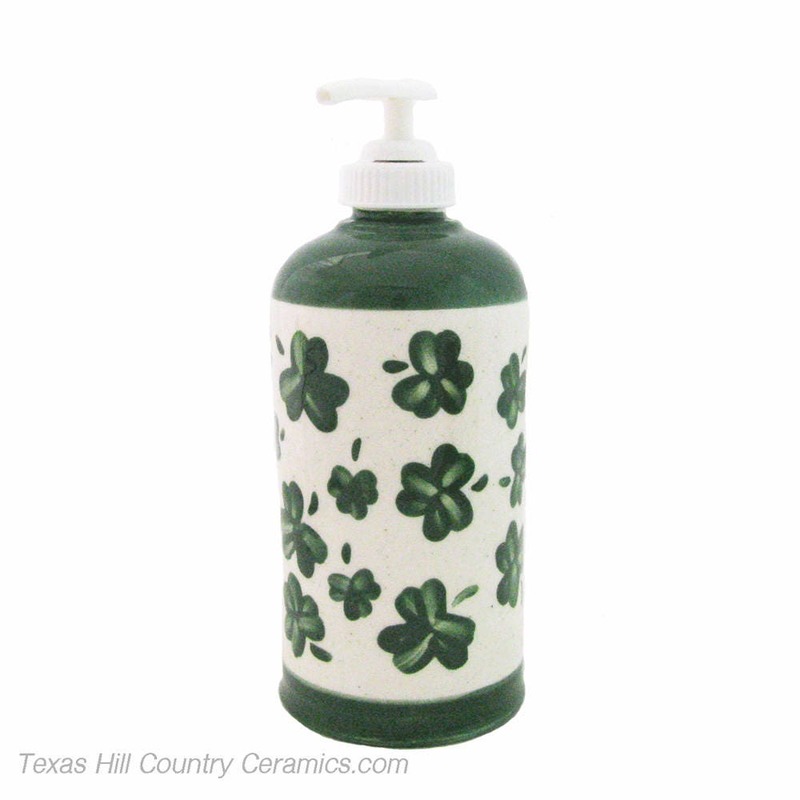 All shamrock dispensers are hand painted so no two are exactly alike. The shamrock design was messy but I was just using it in my own personal bathroom so I'm the only one who will see it. My other orders from this company were all done very cleanly. Never had a issue before. Very cute item. I have bought four of theme for Christmas gifts! Seller was very easy to work with!